Not a few of the specialists in the field of the history of Indian philosophy are of the opinion that the philosophical significance of the Bhagavadgita has often been overestimated. 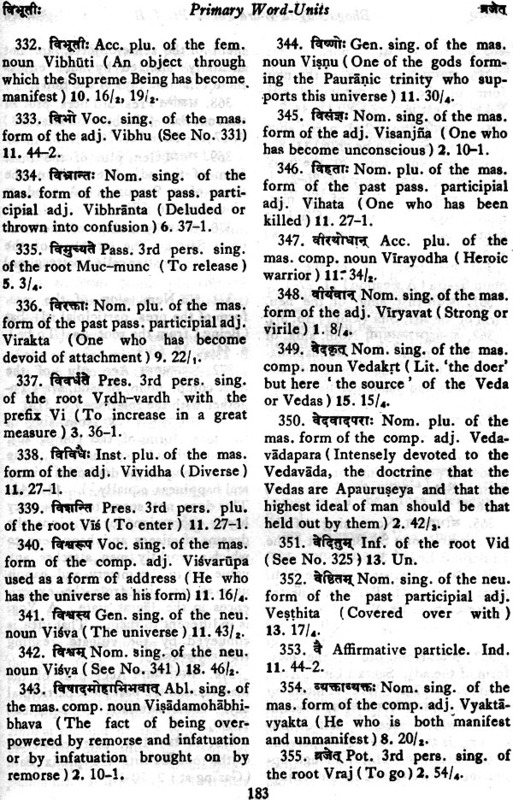 But even they cannot deny that it classes among the most important Sanskrit texts in terms of the history of ideas and the influence exercised by it even on outstanding intellectual figures of pre-independent and modern India and that it is perhaps the most frequently read work of the whole of Sanskrit literature, in India as well abroad. Therefore the necessity of making again available Prahlad C. Divanji's Critical Word-Index to the Bhagavadgita hardly needs justification, all the more as it is based on a number of different editions of the Gita. There is no tool like this index, of equal importance both to the professional Sanskritist as well as to all those interested in this text and wishing to read and understand the original itself. I am glad to be able at long last to place this volume before the learned public for use and evaluation. The difficulties in the way of my doing so were many and multi- farious and presented themselves at each stage since inquiries began to be made for getting the work printed and published at a reasonable cost. However by the grace of Him to whom this work has been dedicated they could all be surmounted one after another. I regret I am not able to offer copies of this work at a price which any and every student of the Bhagavadgita can afford to pay but my excuse is the enormous rise in the prices of the materials and the wages of the labourers employed in the printing presses during the years 1943-45. I take this opportunity of publicly acknowledging my gratitude to the late Dr. V. S. Sukhtankar ph. D. for the practical advice which he had ungrudgingly and unassumingly given to me when I consulted him on two previous occasions and for having consented to favour me with a Foreword to this work when I met him in the first week of January 1943 on the occasion of the Silver Jubilee of the Bhandarkar Oriental Research Institute, Poona. I sincerely regret that he suddenly passed away in that very month before completing his Course of lectures on the Mahabharata at the end of which I was to have delivered my manuscript to him for that purpose as he had desired. I am however glad and fortunate to have secured for the same purpose the good-will of Dr. S. M. Katre M.A., Ph.D., Director, Deccan College Post-graduate and Research Institute, Poona, who has already made his mark in the world of oriental research as the author of certain works on Indology and the principal editor of some commemoration volumes and three oriental research journals, the Oriental Literary Digest, the Deccan College Quarterly and the New Indian Antiquary. I thank him sincerely for having spared sufficient time to look into the manuscript carefully and to contribute the Foreword. 1. confess it has given me confidence in my new line of work. I am also thankful to Mahamahopadhyaya P. V. Kane M.A., LL.M., and Professor H. D. Velankar M.A., for having spared time from their multifarious engagements for going through my manuscript and favouring me with their valuable opinions before I offered the work to the University of Bombay for publication on its behalf. Though that University could not see its way to accept that offer it showed its appreciation of my work by offering to give a grant of Rs. 500/- towards the costs of its publication, should I be prepared to publish it on my own. I thankfully accepted the offer and hereby publicly' acknowledge that solid and encouraging financial assistance from it with thanks. I also acknowledge with thanks the assistance which two of my brother lawyers Messrs H. S. Desai and S. V. Desai, Advocates (0. S.), occasionally rendered to me in ascertaining the method of dissolution of some of the unusual compounds occurring in this work. Lastly, I am thankful to Sir S. Radhakrishnan for going through the book and favoring me with his valuable opinion. Both the said learned scholars have remarked that the value of this work would have been greatly enhanced had I incorporated in it a comparative study of the diverse methods of interpretation of doubtful passages resorted to by the eminent ones amongst the commentators of this work, which has been looked upon as an authoritative treatise' on the correlation existing between the three ways of approach to the realisation of the truth contained in the Upanisad doctrine of the identity of the individual soul, Atman, with the cosmic soul, Brahman, namely Jnana, Upasana and Karma. While I agree that it is a very useful line of work which the higher students of the work would have appreciated but apart from the fact that, as pointed out by Prof. Velankar himself, it is a different line of study and therefore outside the pur- view of a purely word-index. My aim in preparing this Index as it is, which contains" references to the views of some commentators only so far as they were necessary in order to show which of two alternate readings was preferable, was to provide a reference-book for those, who having some knowledge of the language of the text and the subjects dealt with therein, had a desire to form their own independent judg- ment as to the meanings of doubtful words and phrases and the purport of the work as a whole by the application of the universally-accepted canons of interpretation. That had been my aim because my view is that it is only when one's mind is free from the traditional grooves that original ideas spring up therein and enable one to make some original contribution to the world's stock of know ledge by making an intensive and comparative study of that work. So much has already been written on the subject of the teaching of the Bhagavadgita from several philosophical and theological view-points that' there is hardly any scope for making any substantive addition by making a synthetic and doctrinal study of the work. The field of analytical and historical study thereof is not yet sufficiently explored, and particularly not by us, Indians. 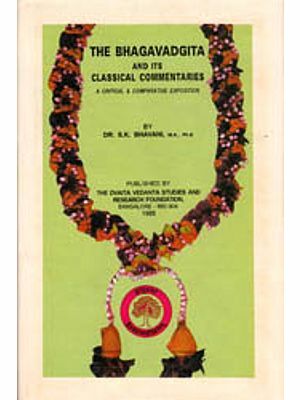 The future of the Bhagavadgtta study therefore lies for us in the direction of ascertaining the authorship, probable sources and date of the work, the place which can be legitimately assigned to it in the history of the Sanskrit language and literature and in that of the Indian philosophy and theology. 1 have by preparing a separate note on those subjects shown that direction. For that purpose I had to make a more intensive study of the work and compare its contents relating to different subjects with various other works dealing with the same subjects. I hope other scholars will make a similar use of .this Word-Index for either checking and evaluating my own conclusions after I am able to publish them or' applying their minds to other cognate pro- blems arising out of the words of this important and soul-elevating work. IT is my good fortune to-day to introduce the present Critical Word-Index or Index-Verborum to the Bhagaoadgita to the world of scholars. The author 'of this index needs no introduction to scholars in India or outside: for during a very busy official life connected with the judicial department of the Government of Bombay, ‘Rao Bahadur P. C. Divanji has maintained his scholarly contacts and personally con- tributed valuable research papers to several oriental journals of repute. He belongs to a generation which, despite the routine of official life, found sufficient leisure to devote himself seriously and whole-heartedly to intellectual pursuits and make definite contribution to Indology in general. The present. 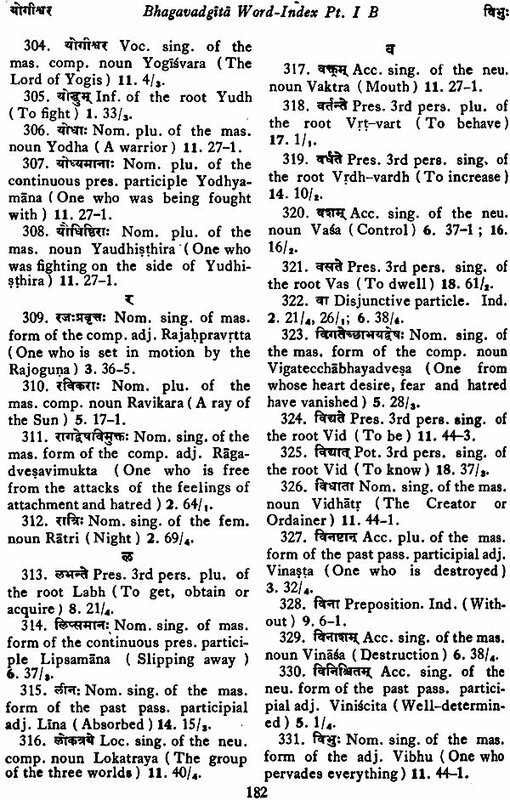 index, as the author explains in his luminous In- troduction, is the outcome of several factors, the chief of which is the Review of Prof. Kirfel's Verse-Index to this 'crest-jewel' of Indian literature by the late Prof. Dr. V.S. Sukhtankar, which appeared in the Oriental Literary Digest, of which I was the Chief Editor then. After such correspondence and discussion Rao Bahadur Divanji , con- vinced of the need of a really critical Index-Verborurn, despite the many existing word-indices, began collecting his material in all seriousness, and this book which is being published now bears out in full the expectations that his friends had at the time when the work was first planned. It is much to be regretted that Dr. Sukhthakar who first gave concrete shape to Rao Bahadur Divanji's unfulfilled perception of the need of such an index, is no longer with us to contribute this Foreword. His unrivalled knowledge of the Mahabharata Textual Criticism and long contact with its critical edition would have been sufficient guarantees for the real need of this Index which, in a sense, he initiated by his inspiring appeal to Indian Scholarship in that review. My only qualification for the task is that I was the Managing Editor of the Journal in which that review appeared, and was a close personal friend of the late Professor; associated with him very closely during the past seven years. 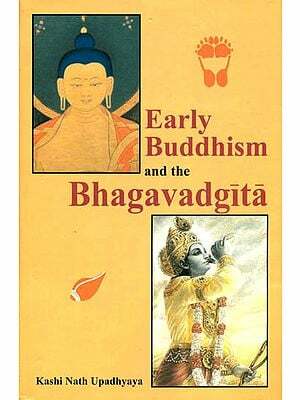 I do so in the spirit of the Gita which has been referred to by the learned author in his Introduction. It will be noticed that in the preparation of this Index Rao Bahadur Divanji has kept the needs of philosophers, lexicographers and linguisticians before him. The author has sacrificed much of his time for the sake of the scholars of the Gita, and if there is any criticism, it is that he is far more conscientious and far more thorough than he has a right to be. The division at word-units into primary, secondary, tertiary and quaternary, with the exact references under each head, and an index of words common to primary and the rest of the word- units, makes the work of the reader far easier than a mere lexicographical arrangement such as the one which I had suggested in my paper on a Thesaurus Linguae Sanskritae,' At a glance one finds the entire material before one-self, analysed and presented under the proper alphabetical order and the relevant section depending upon the position of the word-unit in the compound expression. Not only is it an Index- Verborum it is also a complete dictionary of the Gita for which critical material has been drawn from collations of several editions, giving the variae lectiones as far as they are available to scholars in printed editions and in the testimonies, in published commentaries of this work from the Bhasya of Sankara downwards. The learned compiler of this work has, besides, utilized most of the published critical studies on the text of the Bhagvadgita. 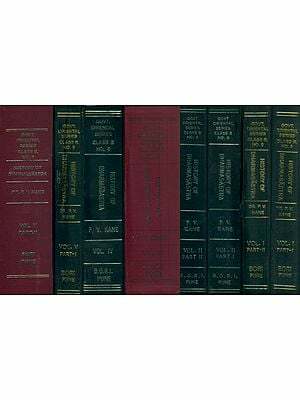 Thus, in a sense, this work represents the critical summation and evaluation of all the critical material on the text and interpretation of the Gita that is so far available, presented in a very original manner. The Gita hall a distinct place in the life of the nation; witness, for example, its great moving force on three unique Indian personalities of the present centuries, Sri Aurobindo Ghosh, Lokmanya Tilak and Mahatma Gandhi. The voice of Sri Krsna is still reverberating through the corridors of time and is powerful enough to change the destiny of men, bringing the light of the spirit and the transcendent knowledge to guide the future of mankind. The fiery words can still move inert nature to a final endeavor 'in: the up-rooting of the evil that exists in man. But cold analysis is required to dissect them into their proper components, for modern research requires .a critical text devoid of conscious or unconscious emendations, changes, interpolations, etc. and a tool, not depending upon subjective judgment, for the final sifting of the material and sense. In this manner of speaking, the present attempt is unique in its character, and will enable the Iinguisti- cian, the comparative philosopher or a critical student of the text of the Gita, to arrive at his goal with the least amount of trouble. The material has been so well presented that the 'Gita may now very well become its own interpreter, with no external aids. In conclusion all true scholars have to express their admiration for the patient and critical manner in which Rao Bahadur Divanji has digested his material and presented the same in a scientific manner, satisfying the highest exacting demands of modern scholarship. PART.II- SECONDARY, TERTIARY & QUATERNARY WORD-UNITS. SECTIONS D.- Word -Units Common to all or any two of the preceding sections of this Part. PART III.- CONSOLIDATED INDEX OF THE PRIMARY AND SUBSIDIARY WORD UNITS.